You probably have heard about SAP Enterprise App Modeler as Lisa and Sue have written some nice introductions here and here. The key concept for SEAM is to use meta data, that describes the actual mobile application. But what does meta data means in this context? The following should give you a basic understanding of who meta data for SEAM looks like, how it is structured and why it works. Let’s start. Another similarity is that both, a web application and a seam application are basically build by files residing in a folder – the typical www folder you probably know from web development. Obviously, it defines the MainPage to be read from a file that is under the directory “Pages”. 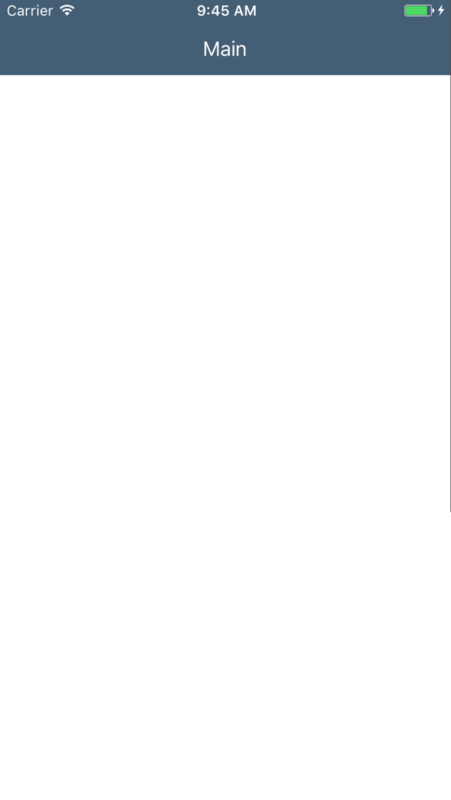 The file “Main.page” describes how the first page will look like and this is the content of a very simple Main.page. You see a simple Json, that is easy to understand, even without in-depth knowledge of the meta data model. We do have a caption defined with a value of “Main” and the control array is empty, so we should not expect any other control on the screen so far. The properties starting with _ are internal, in the sense that they are used or are required by SEAM itself. While _Name is the unique ID of the control, _Type defines the – well – type of the control. As you can see, this looks very similar to the JSON we already we know already. There is a _Type property that defines what this object is all about and then there are object specific properties. 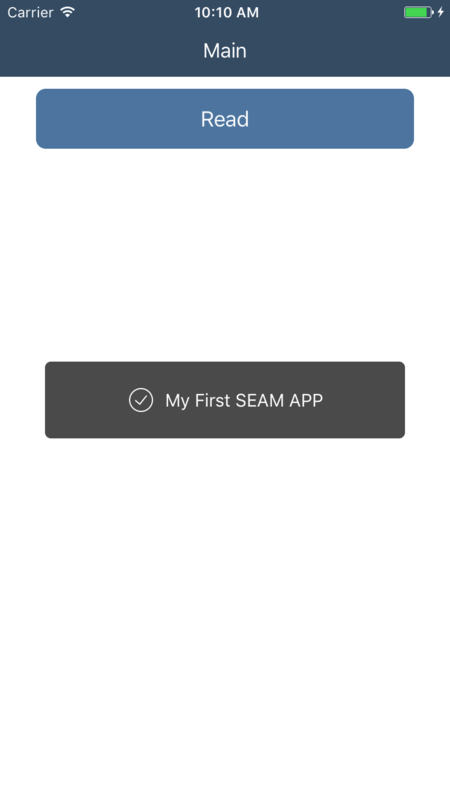 Obviously, the message that should appear on the screen says “My First Seam APP”. Oh,look what we have done! It looks nice and clean. I hope that this brief introduction provided a basic understanding of how the meta data looks like and how it works. Of course, there is much more an obviously writing plain meta data in a text editor is not really something everybody wants to do. But there is hope! 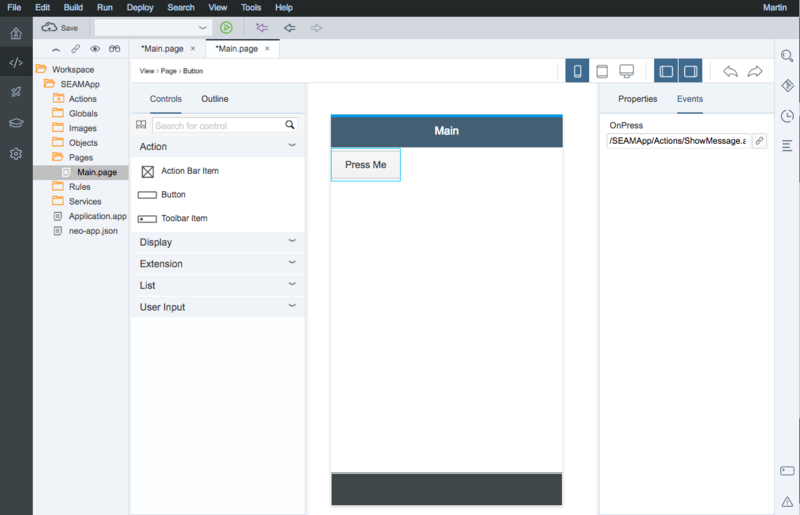 Just use the SEAM Plugin for the SAP Web IDE. Stay tuned for even more updates on SEAM in the next few weeks. When will the SEAM plugin be available in the SCP trial landscape? actually, the SEAM plugin is already available on SAP Web IDE for Multi-Cloud Version in the SAP Cloud Platform trial. You’ll still miss the client to fully use the Editor. Thanks Martin. Is there an ETA when the client will be available? the client is now available in the latest release of the SAP Cloud Platform SDK for iOS. There will be a blog about how to build the client shortly. first, congratulations that you were able to build the client with the current documentation. 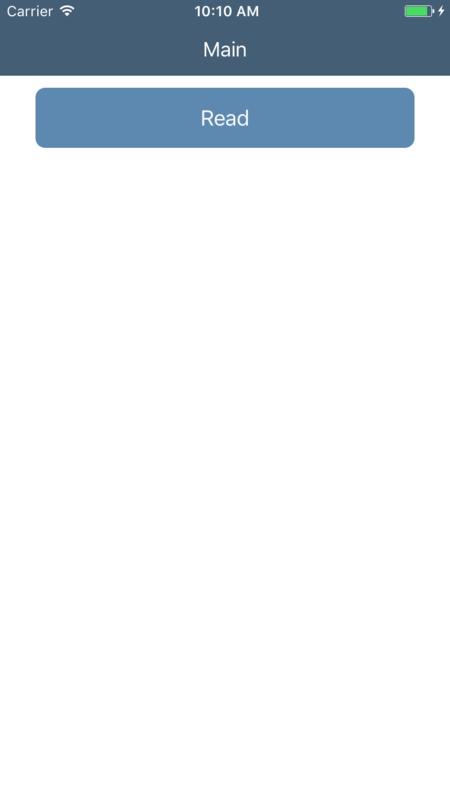 Second, this happens if you are not having an application metadata in our initial build. What you need to do is to export you app from the WebIDE, then copy the files directly into the folder application.definitions, then start the install.sh script. 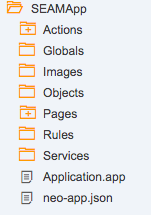 Maybe it need to go into application.definitions inside a sub-folder?! It doesn’t need to go into a sub-folder. All contents of the zip can directly go into application.definitions. Any latest news/update on SEAM client..? Any idea/options about consuming OData/Northwind service in our App modeler application.? @Bill.Froelich any suggestions/opinions on App Modeler update Bill.? consuming Northwind service is no problem at all. Did you encounter issues doing so? Anyhow, I’ recommend to use Mobile Services in-build Sample Service. Yes, We are trying to consume Northwind service and facing below two issues. Issue 1: after App deployment in SEAM client, when we press start button, we are not getting any prompt menu option to enter login details. (Application deployment through – mobile service). kindly let me know your suggestion on above issues. difficult to support you from here. A common error is that the application.definitions folder is empty, when building the client with the install.sh script. Just copy an extracted export of your app definition from the WebIDE into this folder and rebuild the client. “Try demo” is currently without any functionality and just for demo purposes. thanks for this nice Blog, I have a question about the Layout Editor . Please, Could you tell me if Camera or Geolocalization feature of the iOS device can be handled/used by the SAP Enterprise App Modeler ? We will describe how to do this a bit later, but the answer is yes. It can be done. How can we get the SEAM client now? The SAP Help (at https://help.sap.com/viewer/977416d43cd74bdc958289038749100e/Latest/en-US/4b6dd4a0d07d4ed2ad04e6cffae25d17.html) says there should be a file called SEAM_SDK-2.0.001-Universal.zip however it is not in the Fiori iOS 2.0 download. Where can we download it from?